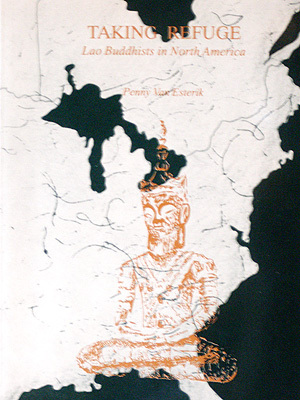 This is the only book I've ever been able to find that profiled specifically Lao Buddhists in North America. In particular the focus of the book is the Lao Buddhist community (of those who go to the temple) in Toronto in the early 1990s. Although the information is now dated, it nevertheless provides interesting historical facts about the beginnings of the wat in Toronto and its inter-connectivity with the other wats across Canada especially Montreal. The author also draws comparisons to Thai Buddhists in North America and also of other Lao Buddhist communities in the US. She also covers the cultural goings-on at the temple. It's a good read. Full table of contents shown below, should you be interested. Side note: While the book refers to when Lao Buddhists in Toronto originally had the temple located in an apartment building at the time of the original writing, for those of you who might not be aware, in 2004 the construction of the first Lao Buddhist temple in Toronto (and in fact in all of Canada) began. The Lao community in Toronto along with contributions from across other Lao Buddhist communities and even Lao sports teams from across Ontario helped fund the construction of the first Wat Lao in Canada with an actual temple structure. However, the construction was fraught with delays, not the least of which in one instance as I recall reading in the newspapers at the time that the local community in Caledon were objecting to it being built in their town. Many people believed the motives of the town people were racially motivated (racial intolerance).